A Toronto landlord has backed off a demand that tenants pay a seasonal fee for the right to use portable air conditioners shortly after a tenant complained to news reporters. A tenant on a fixed income received notice that she would have to pay to use the air conditioner already installed in her unit. The original lease did not provide for such a charge, nor had the long-term tenant ever been required to pay a fee in the past. Still, some tenants did pay up. Those tenants will be reimbursed, according to the report. Landlords in Ontario are faced with a new challenge now that rising energy costs can no longer be passed on to tenants by way of an above-guideline rent increase. Ontario landlords are limited to a 1.5 per cent rent increase for 2017, and 1.8 in 2018. According to the report, as a result of the new limits, some landlords have instituted separate fees to cover rising costs. The problem, however, is that the move may be illegal. Generally, a lease cannot be modified unilaterally. While no court weighed in on this specific case, it is a rule of contract law that an agreement cannot be modified without consent from both parties if the modification impacts a material term. 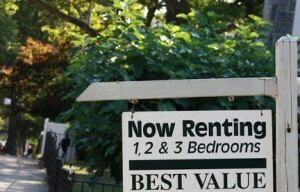 Requiring the tenant to pay more money is likely to be considered material. When it comes to the lease versus the law, local tenancy rules typically win. Even if a landlord charges additional fees to cover utilities in a new lease with a new tenant, the move still may be illegal. The intent of the new rules in Ontario is to force landlords to institute energy-saving measures in their buildings, and not to pass those expenses on to tenants. While, again, this has not been litigated, it is generally the case that the lease must not violate the law, even if a tenant agrees to comply. Give some thought to leasing policies before offering the lease to a tenant, keeping in mind that the tenant may remain for many years, and in some cases, is not required to renew — so there will be no opportunity to modify the Tenancy Agreement. There are many reasons Ontario is considered a landlord unfriendly province. The provincial government’s recent “fair housing policy” preventing landlords from passing on higher utility costs to the tenants is just one of them. The provincial liberal govt has dramatically increased electricity/heating costs and overall operating costs of rental properties with their new carbon tax. Yet at the same time the govt has forced rent controls on all private rental properties and dissallowed above the guidline increases for the increased resultant utility costs to the landlords. Further to this, increased maintenance fees for condos are also NOT not allowed to be considered for above the guideline rent increases. This means landlords are expected to pay these extra fees out of their own pockets, despite often having no control over how much electricity, water or heat the tenants use. Ironically all levels of governments complain about the lack of investment in affordable rental housing by the private sector.